Our readers have been asking us to create a fan page on Facebook, so we finally went ahead and did so. 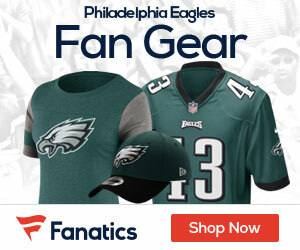 Be sure to become a fan of our page, and invite any other Eagles fans you know! This is a jinxed team. 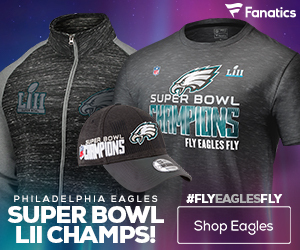 Eagles will never win a super bowl, like Detroit, Arizona, Buffalo and Cleveland. Not eventually but never will they win a superbowl. After being an Eagle fan for decades I bet against them now. I bet against the Eagles against the Cowpigs because it’s easy money. Always bet against the Eagles in the playoffs since its a safe bet they’ll lose somewhere. Double up each successive bet if need be but it’s easy money. It’s not the players it’s a team that is cursed.